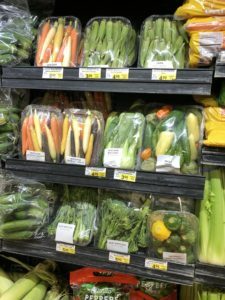 Our Local Albertsons has a really great produce department, even for Wyoming. To be fair, the other grocery stores have good produce too, it’s convince items that I like. Pre packaged and/or prepped produce, costing a couple dollars more but my time is worth it. 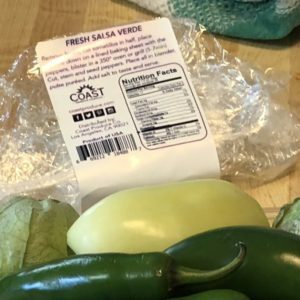 This year they added a new item, prepackaged do-it-yourself salsa verde, with instructions! I was a little nervous about FOUR habaneros but it sounded good so I thought I’d give it a try. In short, the instruction said to blister at 350 on a grill or oven, about 3-5 minutes, de-seed, and put in a blender, salt to taste. When working with peppers, most recipes do not want the peppers cooked, just blistered so the skin can be removed. This recipe uses the skin, I followed the instructions. My blender was a 30+ year old low tech blender that could not even make a decent frozen drink, (but that’s another story). 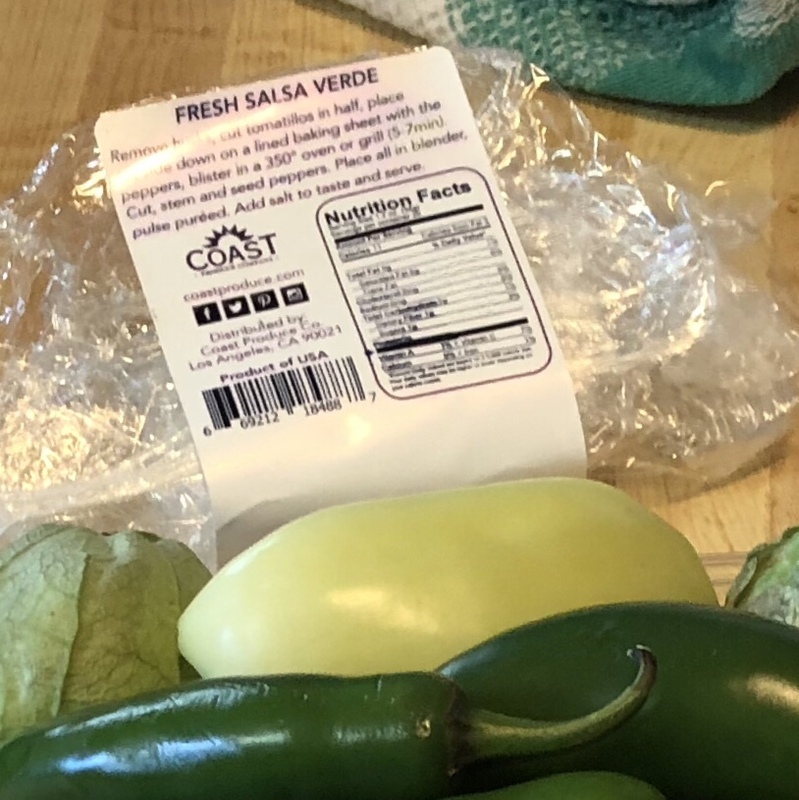 I did not want to hassle with it so i put the peppers in my manual food processor, it came out like chunky salsa, but I was happy with the consistency but I think it did not work for this kind of salsa. I gave it a taste… HOLY HOT PEPPER BATMAN! The flavor was there but the heat was through the roof. I could not eat it, it overpowered whatever I put it on. 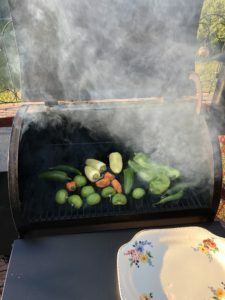 I looked out the back door at our new Treager Smoker Grill and a lightbulb went off… Cooking the peppers mellows the heat, and adding smoke just sounded yummy. Once we cooked a few meals on the Treager and got the hang of using unit, I tried again. But first I purchased a Ninja Blender, and it lives up to all the hype. It makes awesome frozen drinks, and for this recipe it worked perfectly. 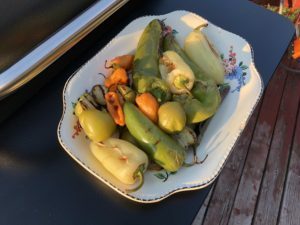 I smoked and grilled the peppers and tomatillos per my recipe below. When I took the lid off the blender, WOW, the aroma blew me away, literally. I had to stand back, the heat from the peppers filled the air. I was a little nervous, I gave it a taste, the flavor was there, it still had heat, but the bite from the heat was gone. It did need salt and I have a variety of salts in my pantry. I smelled my concoction, then smelled the garlic salt, not a fit. I did this with my different salts and the Himalayan sea salt was the best fit. I added the salt to the blender and gave it a few pulses. Winnner winner chicken dinner! The salsa came out perfect, just the right amount of heat, the Himalayan sea salt added a great note of flavor, and the salsa was oddly addictive. So, I thought I better write down the recipe so I can repeat the flavor. 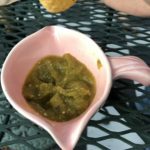 Cooking the peppers mellows the heat, and adding smoke gives this green salsa a mellow and flavorful heat. Wash the peppers. 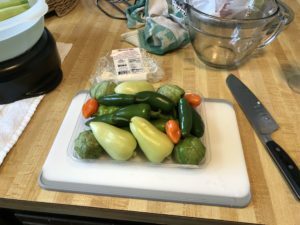 Remove the husks and stems from the tomatillos, clean, and cut in half. Bring the Treager to smoking temperature (160º) using the mesquite pellets. Smoke the peppers and tomatillos for five minutes then turn up the heat to 350º, leaving the lid closed until you turn the peppers. When the temperature reaches 350 cook for an additional 5 minutes, turning the peppers when they start making a popping sound. If your smoker does not have a temperate gauge, the popping started about the same time the smoker reached 350º. You want the peppers cooked, with some marks, but not charred. Take the peppers off the smoker and let them cool for a few minutes. Remove the stems and seeds from all the peppers, and cut the larger peppers in half. 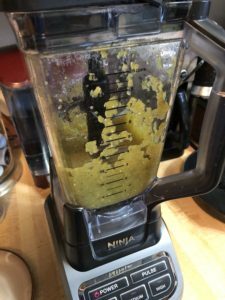 Put all the cooked peppers and tomatillos in a blender and purée. Taste the salsa verde and add the Himalayan sea salt to taste, I used about a teaspoon. If you make this with a different wood pellet than the mesquite please comment below and let me know how it turned out. 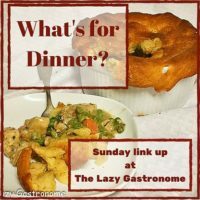 This entry was posted in Recipes and tagged Anaheim, five pepper, Habanero, Jalapeño, Mesquite pellets, Serrano, Smoked Peppers, Tomatillos, Treager on July 23, 2018 by TetonTrekker.